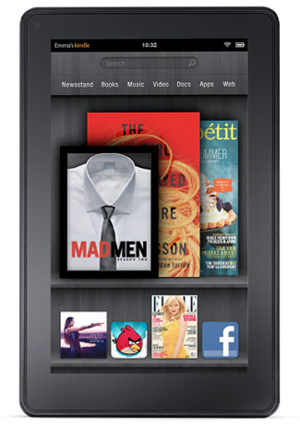 As you already know Amazon is set to ignite the tablet PC market with its very aggressively priced 7inch Kindle Fire. As you already know too the Fire is US-only for now. There are however ways of getting your mitts on one when they arrive on November 15th. One is to grab one from eBay – cheapest price so far is a model with a buy now tag of £179.99 (plus a whopping £39.99 for postage). The other is to buy one from Bundlebox, a company that specialises in getting US products like the Kindle Fire to the UK. BundleBox basically provides you with your personal USA parcel forwarding address. With your BundleBox address, you can shop at any USA website, using your BundleBox address as your delivery address. No one knows for certain if you’ll be able to download apps or even access your Amazon content on it for now. But at the very least you’ll be able to use the web browser. Britons who bought the iPad before it launched in the UK were able to access some apps (essentially free ones and those designed for the iPhone) so maybe it will be the same for the Kindle. You may have a teen on your list to buy for. They would love the chance to have their favorite music to listen to while playing one of the many games that are out there. With plenty of apps available, including some of the hottest titles, they won't have to search hard to find what they are looking for.